On 23 February 2018, the ambassadors endorsed the provisional agreement on the four legislative proposals of the waste package reached with the European Parliament on 18 December 2017. The waste package will lead to more recycling of waste and contribute to the creation of a circular economy. It will improve the way waste is managed as well as encourage the re-use of valuable material embedded in waste. The new rules establish legally binding targets for waste recycling and the reduction of landfilling with fixed deadlines. These targets will increase the share of municipal waste and packaging waste which is recycled, with specific targets for the recycling of materials used in packaging. The rules also include targets for reducing the amount of municipal waste which is landfilled. Member states will have to set up, by 1 January 2025, separate collection for textiles and for hazardous wastefrom households. In addition, they have to ensure that by 31 December 2023, bio-waste is either collected separately or recycled at source (e. g. home composting). This is in addition to the separate collection which already exists for paper and cardboard, glass, metals and plastic. This package also establishes minimum requirements for all extended producer responsibility schemes. Producers of products under these schemes must bear responsibility for the management of the waste stage of their products. Producers will be required to pay a financial contribution for that purpose. In addition, mandatory extended producer responsibility schemes for all packaging have also been introduced in Union legislation. Landfilling of waste leads to pollution of surface water, groundwater, soil and air. Therefore, the legislation also contains a specific landfill reduction target. Member states shall endeavor to ensure that as of 2030, all waste suitable for recycling or other recovery, in particular in municipal waste, shall not be accepted in a landfill. The only exception concerns waste for which landfilling delivers the best environmental outcome. In addition, member states will ensure that by 2035 the amount of municipal waste landfilled is reduced to 10% or less of the total amount of municipal waste generated. Background and next steps: Now that EU ambassadors have endorsed the provisional agreement reached between the Estonian Presidency and the European Parliament on 18 December 2017, the legislation will be submitted to the European Parliament for a vote and then to the Council for final adoption. It will enter into force 20 days after its publication in the Official Journal. 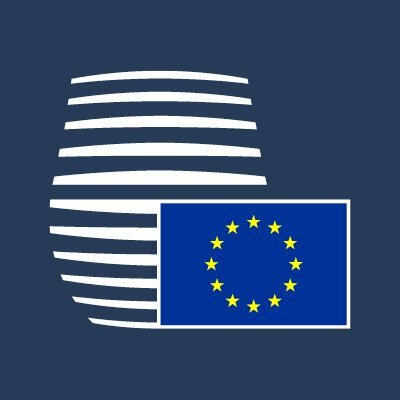 - The EU Parliament is to vote the draft already informally agreed with the Council of Ministers during the 16-18 April plenary session in Strasbourg.